Werner AH-Series Aluminum Attic Ladders - Industrial Ladder & Supply Co., Inc.
Attic Ladder Rough Opening: Required 22.5" x 54" 25" x 54"
Werner Attic ladder spring replacement kits. Sold and priced as a pair. 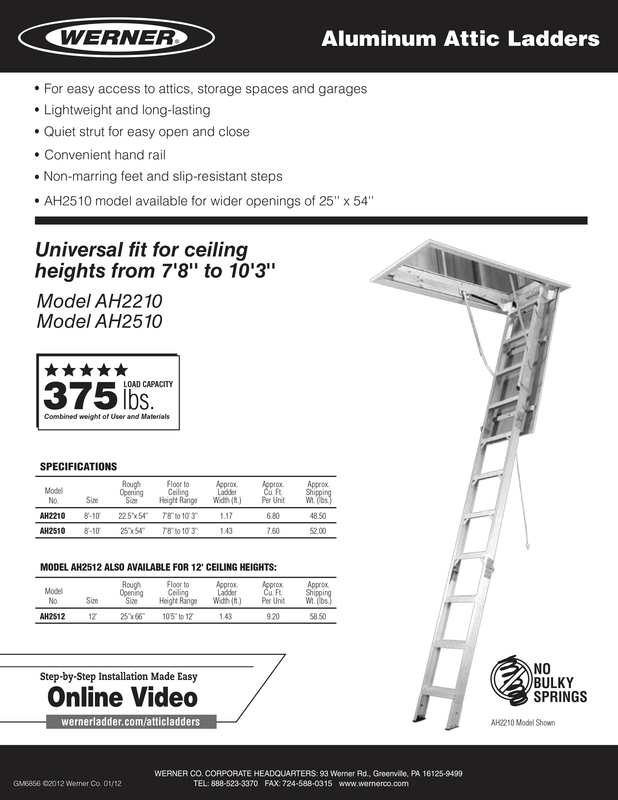 Werner AH-Series Aluminum Attic Ladders Ceiling Height 8 ft. to 10 ft. 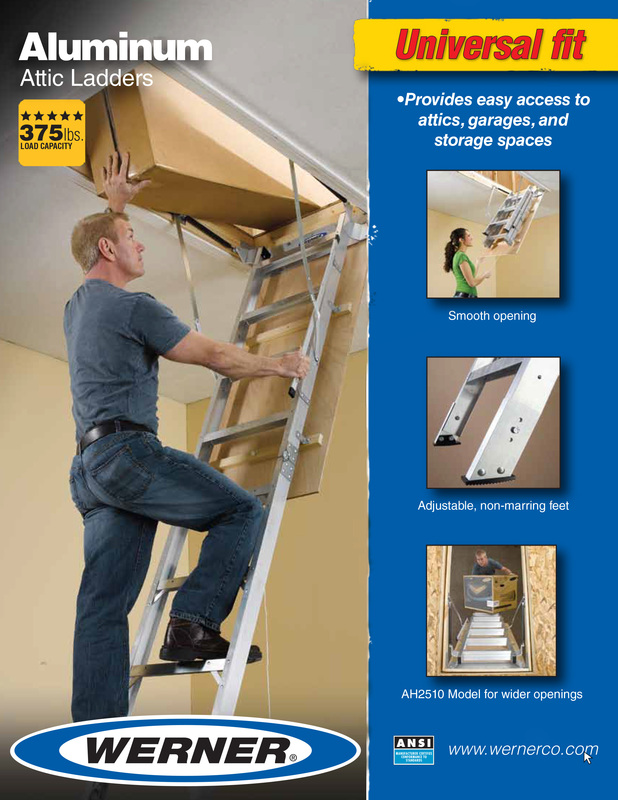 The AH2500 Series Universal Attic ladder is lightweight, yet carries a duty rating of 375 pounds. The strut design eliminates springs and allows for a wide access opening. Easy to open and close. Wide steps are slip resistant and the feet are non-marring. Available for standard or extra-wide openings.